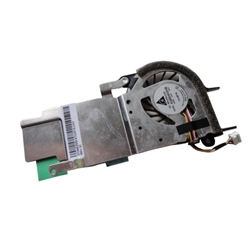 Description: New genuine Acer Aspire One netbook replacement cpu fan and heatsink. This delta electronics fan is for units which have a 5N cpu installed only. The part # for the fan's motor is KSB0405HB. Acer Aspire One D257, Happy 2, Gateway LT28.